Leave the busy city of Seoul behind on a one-day excursion to Mt Seorak (Seoraksan), South Korea’s third-highest mountain. As you explore with your fun and knowledgeable guide, see why this UNESCO-protected mountain is one of the country’s most popular destinations, named for its slowly melting covering of snow. Your one-day tour also visits tranquil temples and a thriving fish market, taking you behind the scenes to glimpse daily life in South Korea. 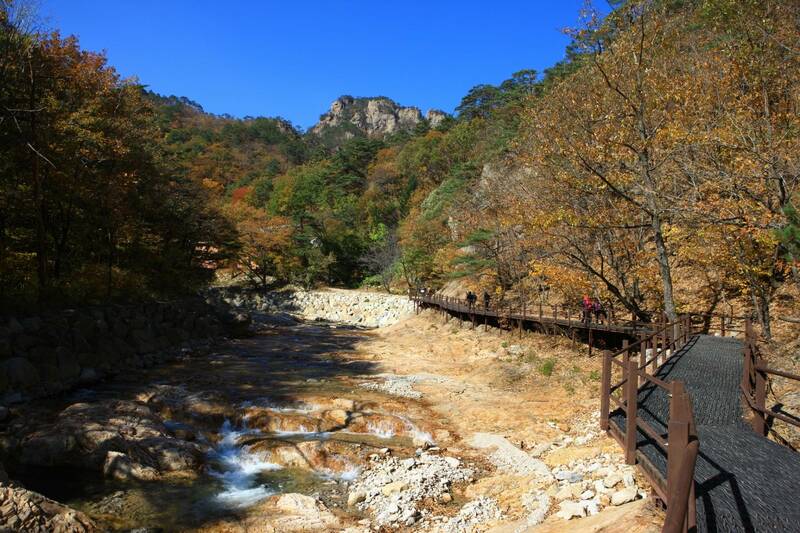 Depart from your hotel and journey towards Mt Seoraksan, also known as Mt. 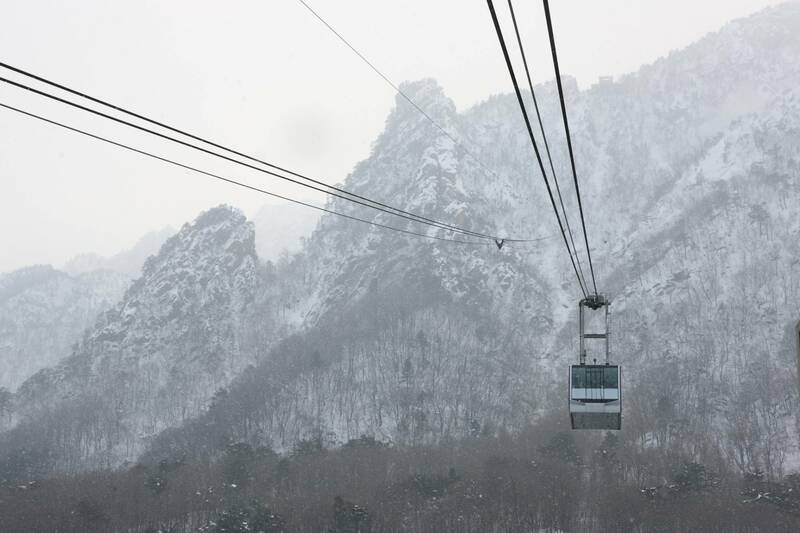 Sorak, the highest amidst Taebaeksanmaek Mountain Range which boasts beautiful landscape and scenery all year round. The national park, designated a UNESCO Biosphere Reserve, covers 154 square miles (398 sq km) and is home to more than 2,000 animal species and 1,400 rare plant species. As you follow your guide along a well-maintained path, keep an eye out for a variety of animals such as musk deer. Next, we'll proceed to the Gwongeumseong Fortress by cable car. It is also called Gwon-Kim Castle as there was a legend that two generals named Gwon and Kim built the castle to avoid war. 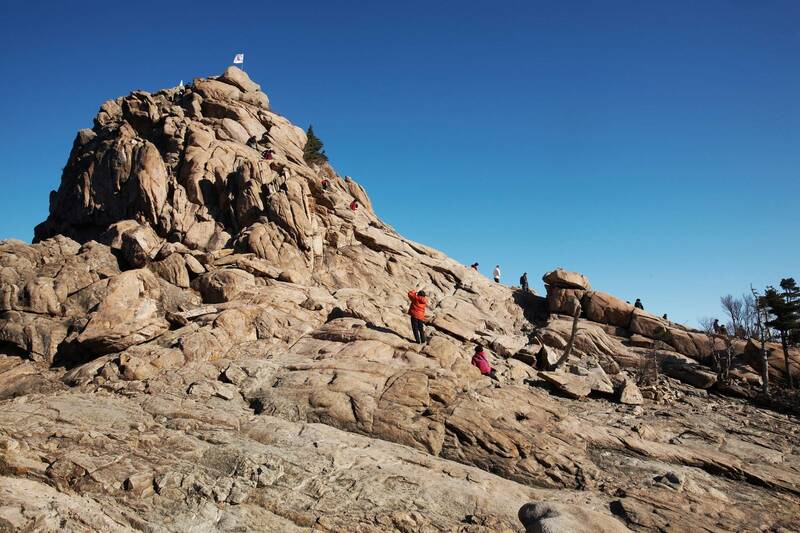 As you ascend, view the interesting rock formation of the Gwongeumseong region, including Ulsanbawi Rock, and watch the East Sea come into sight. 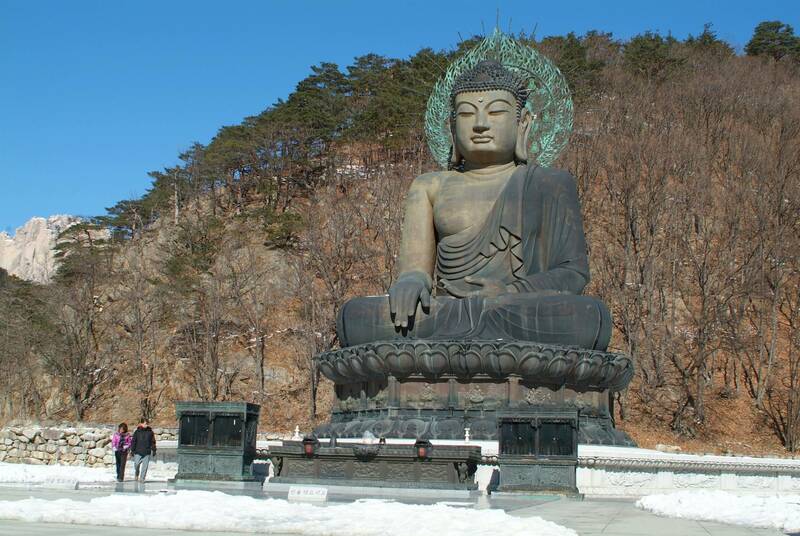 With your guide, visit the mountain's Shinheungsa Temple, with its giant bronze Buddha standing guard, before being transferred to Daepohang Port Fish Market, where eel, flounder, yellowtail and gourmet seafood are sold. See the lively stalls and restaurants surrounding the fish market, selling dishes featuring the local seafood. Your Mt. Seorak daily tour ends with your return to hotel.